Bring sherry and broth to a rapid boil. Add salt, pepper, and rosemary. Simmer. Sauté mushrooms in butter with chives. Stir cornstarch with water and add slowly to sherry and broth, stirring constantly. When broth is smooth and clear, add 2 tbsp butter. 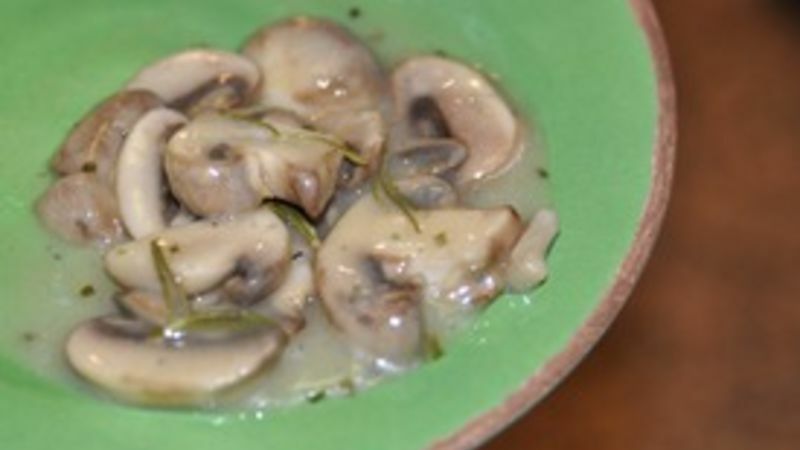 Add hot mushrooms and let stand over hot water until ready to serve. With steak, pork chops, chicken, buttered noodles or rusks, as a mushroom gravy over potatoes, or as a side dish.